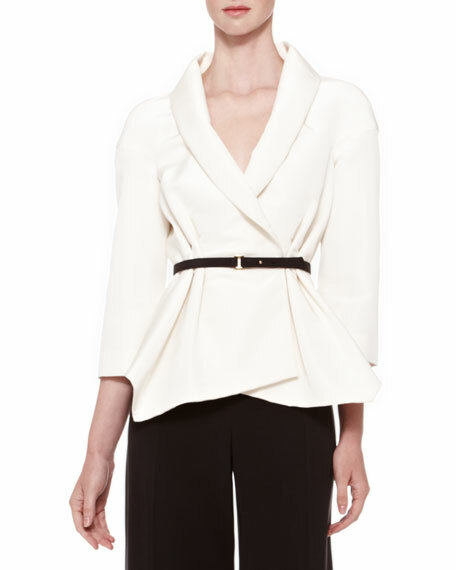 This Carolina Herrera blouse nips your narrow waist with a flattering wrap silhouette and contrast belt. 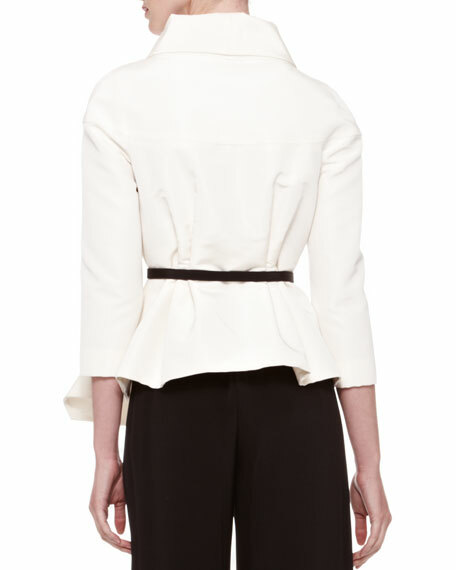 Wear it atop tailored trousers or a fitted pencil skirt. For in-store inquiries, use sku #1945725.